The government has withdrawn a controversial document that claims some statutory protections for vulnerable children are “myths”, after a charity launched an application for judicial review, the Guardian has learned. The “myth-busting” guide, issued last July, advised local authorities that they are legally permitted to reduce or even remove support from children in long-term foster care, who run away or go missing from home or care, who are remanded in custody and those who have left care and are still living with their former foster carers. 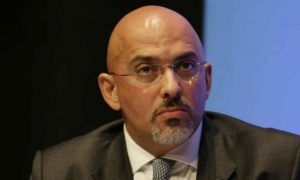 Nadhim Zahawi, the children’s minister, claimed the document simply clarified council duties, but the charity Article 39, which advocates for children’s rights, and 49 other charities and social work experts warned that it contained numerous inaccuracies and risked removing support from vulnerable children and care leavers. They asked Zahawi to withdraw the guide, but he refused, saying neither the legislation nor the statutory guidance had changed. After failing to secure any changes to the document, Article 39 instructed lawyers to begin legal proceedings against the Department for Education and a pre-action letter was sent in January. – Social workers do not have to lead assessments of children who automatically gain “looked after” status and protections when remanded to custody. – Councils do not have to offer a return-home interview to children who have run away or gone missing. – Councils do not have to appoint separate social workers to foster carers and children in long-term placements. – Personal advisers appointed to advise and support young people leaving care can take on the local authority’s duties in respect of “staying put” arrangements – where those aged 18-21 can continue living with their foster carers. – Social workers only have to make one visit a year to foster carers looking after a child for more than a year. – Social workers can decide to visit children in long-term foster placements as little as twice a year. But in an about-turn last Wednesday, the DfE told Article 39’s lawyers that they were removing the guidance from the children’s social care innovation programme’s website and notifying local authorities and others that the document had been withdrawn. It also confirmed that any plans to issue a similar document in the future would follow a consultation process to include Article 39, relevant organisations and children and young people who may be directly affected. The “myth-busting” controversy comes at a time when local authorities are struggling to pay for support for children in need of protection. In 2017, the Local Government Association predicted there would be a £2bn shortfall in children’s services budgets by 2020. A spokesman for the Department for Education said: “Ensuring that every child, no matter their circumstances, grows up with the care and support they need to lead a happy, fulfilling life, is our overriding focus. We remain committed to assisting local authorities to support the best interests of children and families and using new methods to do so. Rather than divert time and public money to litigation, we have taken the decision to withdraw the guide.